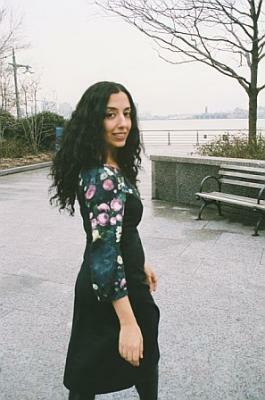 NYC-based singer-songwriter & poet Atoosa Grey was born in Tehran and raised in NJ. Her love affair with music began at age 5 when the piano was first wheeled into her home. According to listeners, her music is a walk through sunny fields, music that makes bloom all of the sleeping blossoms, or like floating through one of those strangely beautiful dreams. Her new album is stylistically varied, from Americana to folk to haunting piano ballads. Its title references the red birds that reappear throughout the record to symbolize ideas of hope and luck. For Atoosa, whose mother believed birds were visiting spirits when she was growing up, this record signals a key moment for her where she has incorporated her various influences—Eastern and Western, musical and literary, personal and universal.